Steven’s WOO moment explodes right off the bat after a boy and his mother have chased a fishmonger through the marketplace. While the crowd bids higher and higher for the coveted delicacy on display, young Hassan dips his finger into the irresistible goodness of sea urchin guts and pops it into his mouth… eyes closed in ecstasy. The best moment of life is when your dream comes true. 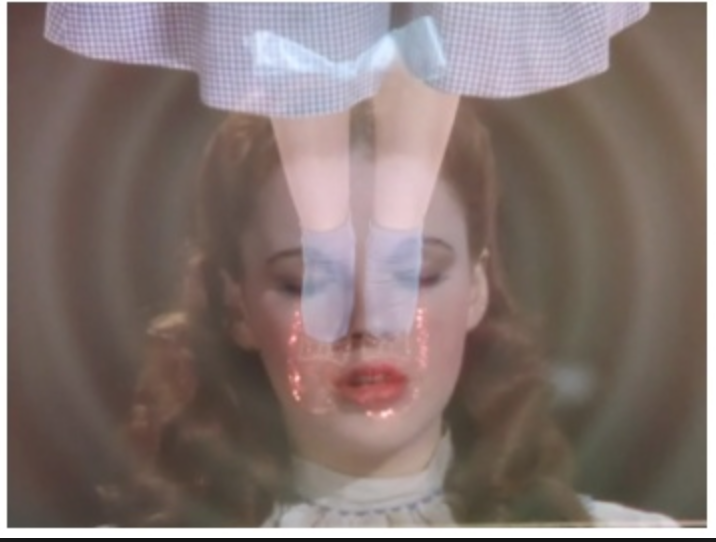 You see Dorothy with eyes closed, at the end of WOO confident she’s going home. You see Jim with eyes closed, thrilling to his mother’s arms around him once more in Empire of the Sun. You see Tom Hanks as Viktor half close his eyes in the cab looking forward to returning to Krakozhia, Terminal. Again, Hanks gives a smug squint as his new wife finds his neuroses cute at the end of Joe vs. the Volcano. 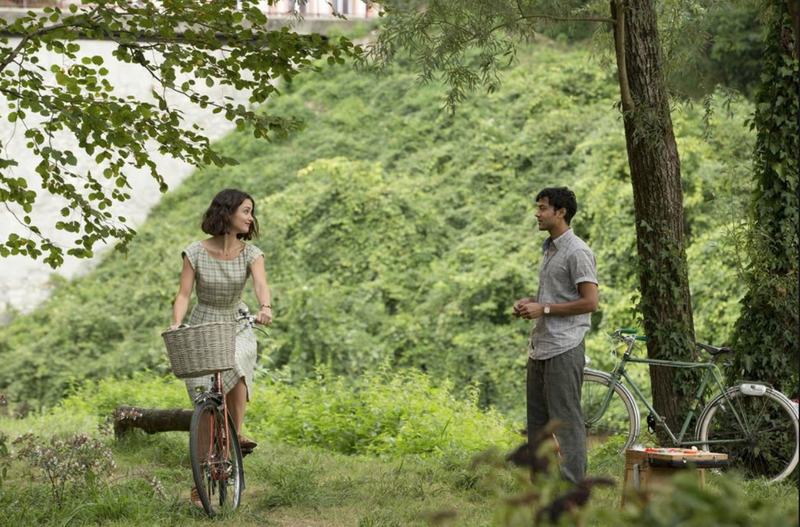 Check out bike crashes and lovers on bikes for more affirmation that Steven took an interest in this production. Hear the bell ring right before the old couple with the dog become the first customers at the new restaurant. It rings again right before Papa and Madame Mallory take a shine to each other, a blessing on that couple. See Always, A.I., E. T.,The Color Purple, Jaws, Close Encounters, Empire of the Sun, Super 8, Twister, Twilight Zone, Joe vs. the Volcano, Poltergeist, Memoirs of a Geisha for chimes that provide audible cues to pay attention…something momentous is approaching. If that’s not enough to convince you, watch for the moment the wind blows the green curtain inward, a sure sign life is going to change for protagonists. Hassan will bring Madame her extra star and her patronage will bring him fame. See Empire of the Sun, Catch Me if You Can, Hook, Twilight Zone the Movie Kick the can Episode, Joe Vs. the Volcano, Poltergeist for other breezy portents.